The strategy focuses on investments in the utilities, energy, infrastructure & renewables sectors in Europe, aiming to capture the value of the evolving power & energy market through active portfolio management. 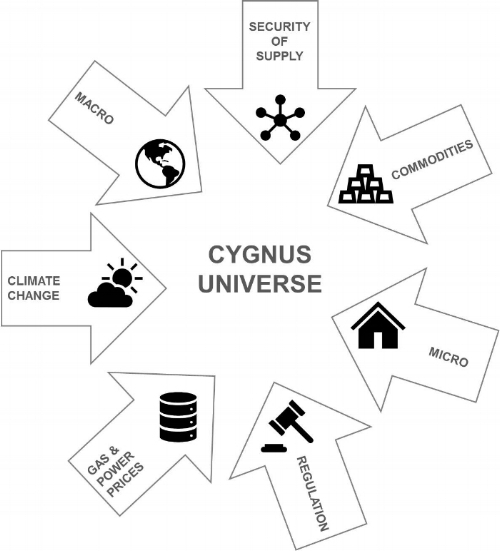 Its universe includes traditional electricity, gas and water utilities, oil and gas, as well as companies involved in renewable energy such as wind and solar power generators and manufacturers. The investment strategy is fundamental, opportunistic, thematic and concentrated. The investment philosophy is based on actively trading our fundamental views, combined with a closely followed market perspective. It invests mainly in quoted equities although it may selectively use options to improve the risk/reward of its trades. Our competitive edge is based on the team’s depth of experience in analyzing and trading our markets coupled with strong risk management skills. Sub-sectors have specific value drivers which affect companies differently, depending on their business mix. This creates the opportunity set to benefit from relative valuations and micro themes which are independent from market direction. The investment management team is made up of four professionals that have more than 20 years of experience in the European utilities sector: Juan Cruz (Portfolio Manager, Founding Partner & CIO), Luis Amusátegui (Partner & Head of Research), Alejandro Vigil (Partner & Senior Analyst) and José Castañeda (Senior Trader).